The new year has begun and one of the most popular resolutions is healthy eating. The main concern about healthy eating is taking the time to plan and cook vegetables and other nutritious meals each day instead of just going to a fast food drive-thru for a something quick. A solution to ease the task of cooking meals is meal prepping. Meal prepping is a fun practice to help your healthy eating resolution. It’s quite easy once you get the hang of it. 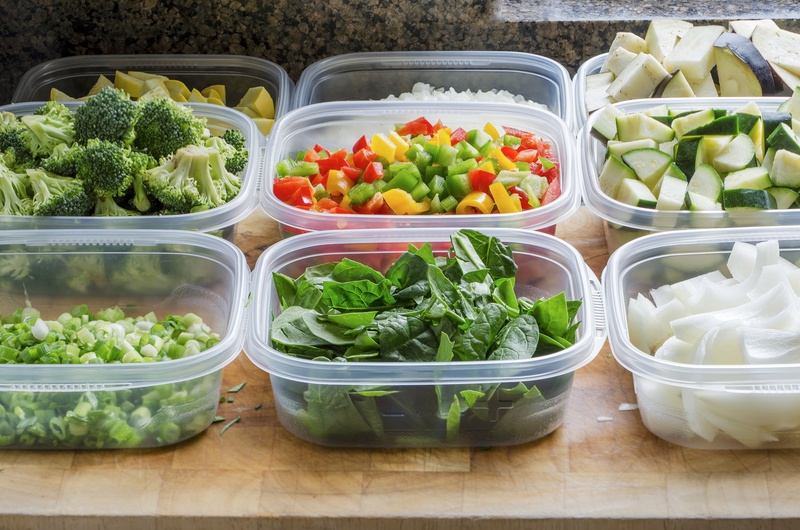 Check out these tips for meal prepping to start the new year off right. Planning: Plan and map out how many day's worth of food you want your meals to last for. It could be for three to four days or a whole five-day work week. Decide which day and time of the week you are going to cook. Make a grocery store list of foods that you want. This makes it so much easier rather than running around the store looking for food. It also lowers the possibility of forgetting foods that you wanted or splurging for unnecessary items. Containers: Using containers will make meal prepping life easier. There are containers that have sections for each portion of your meal. You can place the meat of your meal in the biggest section of the container while placing your side dishes in the smaller sections. Containers also free up space in your fridge and are easily accessible to heat up in the microwave to eat at your desk afterward. Cooking: An easy go-to option for meal prepping is cooking chicken. You can grill or bake chicken in bulk. Grilling turkey burgers are also an easy meal to make. Try to season your chicken or add sauce to give it a nice flavor. It is easy to steam vegetables to compliment your meal. As for starches, opt for whole grain, complex carbohydrates as your fuel! It’s easy to make a cup of brown rice or quinoa and stretch it out over the 4-5 days. Remember, abs are made in the kitchen! Working out 7 days a week will only get you so far. Having healthy, planned meals will go a long way when it comes to your progress. Stay tuned for more helpful New Year tips!